Bernie’s guest on this episode is Darryl Praill, CMO of VanillaSoft, a Sales Engagement platform that provides sales and marketing teams tools to more efficiently engage, qualify and close the sale. Darryl is a passionate guy who has strong and informed opinions about the role of marketing. 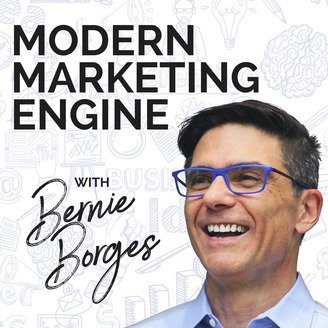 On this episode, he provides a clear picture of the evolving role of the Chief Marketing Officer, how it came to be the huge responsibility that it is, and even peeks into the future with his predictions of what is likely to happen for CMOs as time goes on. Don’t miss this episode. What IS The Role Of The Modern CMO? There are many things you could say about the work the CMO of today does to contribute to the success of their organizations, but Darryl says they really boil down to two priorities. The CMO is responsible to significantly contribute to the sales pipeline in real, tangible, measurable, and substantive ways. Today’s CMO is responsible to create awareness of his/her brand and the solution it provides to buyers. That is achieved through a variety of means - content, influencers, press, analysts, social proof, targeted advertising, review sites, and more. The CMO must be a SPOKESPERSON who portrays the brand accurately and in a compelling way. This reduces the feeling of risk buyers have when considering a purchase. Why Is A C-Suite Level Marketing Executive Needed? Gone are the days when marketing and sales were two separate islands. So much has changed in the sales environment that demands an integrated approach between marketing and sales. Organizationally, the head of marketing now owns the marketing and sales technology stack (aka - tech stack). This happened out of necessity and the sales department has gladly given the responsibility to the marketing team in most cases. That puts marketing in a place of significant influence and importance. The marketing team is the keeper of the data with reporting responsibility for what leads are qualified, converting or failing to meet the qualification criteria. Marketing has become a structured, methodical, repeatable, transparent, measurable discipline. The CEO, CFO, COO, investors, and Board of Directors all love that marketing has evolved into a measurable function. For these reasons, a CMO has become imperative in the modern B2B organization. Should The Modern CMO Have Sales Experience? Darryl’s belief is that anyone serving as a CMO today needs to have at least some sales experience. Why? The integrated way that marketing and sales work in companies these days demands it. The CMO must understand the motives, thinking, objections, and requests the sales team is likely to make of them. It’s therefore highly beneficial for the CMO to have experienced rejection as a salesperson, to have had to refine their sales message on the fly, to have empathy for having a quota staring them in the face each quarter, and to have felt the pain of missing quota, as well as the excitement of closing sales. All of this not only enables the CMO to understand what the sales team is going through day to day, but it also gives the sales team reason to respect the CMO. How Does The CMO Build And Retain A Competent Team? The modern CMO is responsible for overseeing everyone on their team from junior marketers to a data scientist. How do they go about finding and keeping such a wide variety of individuals? Darryl says it comes down to how the CMO interacts and engages with the people on his/her team. Customers are increasingly able to research and make buying decisions themselves with greater ease. The impact on sales is significant. In many cases, sales is becoming more of an order-taking and customer experience role than an actual sales role. Currently, only one-third of sales development teams are reporting to marketing, and Darryl predicts that number will increase to two-thirds within 5 years. When that happens, the CMO role will evolve to a Chief Revenue Officer in addition to existing responsibilities. Darryl believes that will put more CMOs in a position to move into the CEO role. He believes it to be the most logical choice since they understand the data that drives customer decisions and how that data impacts the type of messaging the organization needs to win and keep customers. 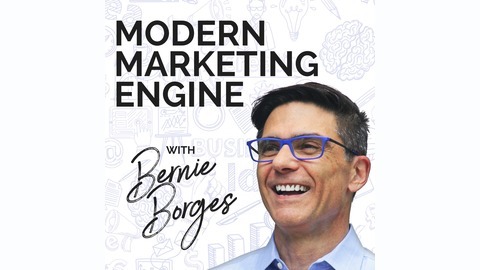 This fabulous conversation between two CMOs - both with significant sales experience - will help you think about the evolution of the modern CMO in light of what’s happened in the industry and what is still to come. Don’t miss it! [3:55] What is the role of a chief marketing officer? [6:22] Why does the role of CMO even exist? [10:43] Should the modern CMO understand sales or need sales experience? [18:00] How does the CMO strategize on building and retaining staff?